Suskinder - Chapter 1 – Parents and Teachers: What Does an Effective Partnership Look Like? 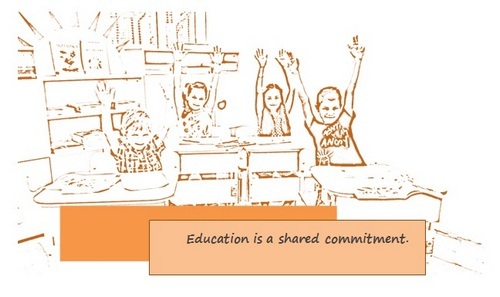 Home>E-learning>Module 5 – How to communicate with and inspire parents>Unit 1 – Children in the middle: how education works if pedagogues and parents work together>Chapter 1 – Parents and Teachers: What Does an Effective Partnership Look Like? Why parental involvement is so important? We used to think that professionals know better than parents what is necessary and useful for the children. We accept as normal that most of the day our children spend in institutions - nurseries, kindergartens, schools, study halls. In these institutions, qualified personnel take care of them, and they give our children proper education and upbringing. And finally, we believe that almost all the work will be done by someone else i.e. our children will be educated and socialized while we are at the workplace. More and more people, however, realize that this model is vicious and it deprives parents of their active role in child-raising and creates unnecessary barriers. They also realize that the relationship between families and kindergartens and schools is broken and the processes that take place in both places are not connected. As a result, the child fails to get the necessary upbringing and education. To overcome this fragmentation and the gap between home and school, it is necessary teachers and parents to work together in partnership, to share information, ideas, and opinions, to improve decision-making and to share the childcare. Unit 2 in Module 5 presents some good examples how teachers can communicate with and inspire parents, as well as chapter 2 discussed how parents can be integrated into kindergarten community. Everything begins at home. But it must continue through the schools. And somewhere in the middle there are different perspectives on how to create and manage this unique relationship between home and school resulting in maximum benefits for each child. Many parents avoid contact with a teacher until major problems occur because they are unfamiliar with the process. Because of this it is important that the partnership is built with maximum transparency and mutual trust. To meet the different points of view, two simple questions have to be answered: what the teacher wants from the parent and what the parent wants from the teacher. One of the most important parts of this process is the culture of involvement which must be nurtured and prioritized. Teachers need to be willing to work with the parents no matter their assets or deficits’. Parents need to educate and communicate constantly with their children and thus to create the necessary basis for moral values that will shape the children's social skills, attitudes and responsibilities and this way to support the main teacher’s task: to teach. Children need to feel that the adults care about them and they provide a safety net when needed to feel successful in their own education and growth. Question 1: What do teachers want from parents? parents to co-teach from home. parents to teach their children about moral behavior. Teachers know how to teach reading, math, science and so on but values should come from home. parents to “discipline–not punish–their children”. Positive discipline method allows reinforcing positive behavior, promoting successful decision making and teaching expectations to children. parents should teach children to be responsible, speak respectively, express their own reasoned opinion, to accept responsibility for their actions and accept the consequences of their deeds. Question 2: What do parents want from teachers? teachers to respect parents and children. teachers authentically care about teaching by raising standards and having high expectation for all children. teachers to think outside the box, because each child is unique and the learning approach must be different. teachers to communicate openly, share sincerely and inform timely. teachers must remain objective and follow their main responsibility: to teach. teachers to communicate for positive results not just the child didn’t do homework, or was talking in class. Question 3: Where might their interests converge? Both teachers and parents want to have better communication with each other, which will allow them to work as a team in the child’s education. However, it is hard to converge the two paths. The main dividing line is the fact that both sides do not properly define their duties and rights and very often have excessive expectations or just talk in different languages. The environment we live in is changing and evolving rapidly and society are facing more and more new challenges. It is therefore important to include a more compressive system of communication. On the one hand, teachers should make a sincere effort to know the family and make a genuine connection, from another – parents need to be more active in their children's school life. Achieving a mutually satisfying result is possible through cooperation. 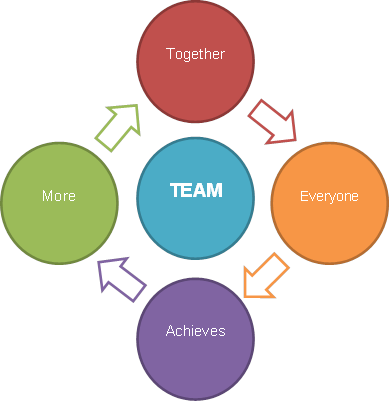 Parents, teachers, community leaders, and school administration will achieve more if the goals are met with a team approach: “Together Everyone Achieves More”. Children learn at both home and school. Learning takes place during every waking hour of every day.